At some point between now and August 1, a majestic flower will unveil its beauty in Tucson, Arizona, for one night only. Each year Tucson celebrates the annual, summer blooming of its most elusive flower, the Queen of the Night at Tohono Chul Gardens, home to the world's largest collection of “Peniocereus Greggi”. Native to southwestern North America, the cactus looks like a bunch of dead sticks for most of the year and only reveals its spectacular flower for one night in the heat of the early Tucson summer. When the summer heat begins to build, the buds of this night-blooming cereus begin to appear. After a period of start-and-stop growth, the buds blossom in a mass blooming on one night between the end of May and the beginning of August. Researchers still don’t know how the flowers know when to bloom en masse. Each year, for one evening only, Tohono Chul Gardens opens its doors to visitors from around the world to experience the mystery, majesty and beauty this mass night-blooming. Visitors stroll along luminaria-illuminated trails leading to each plant to marvel at these gorgeous flowers and breathe in their intense scent. Flowers start opening at 5pm and are in full bloom by 8pm. The beautiful palm-sized flower is wilted within a few hours of sunrise. 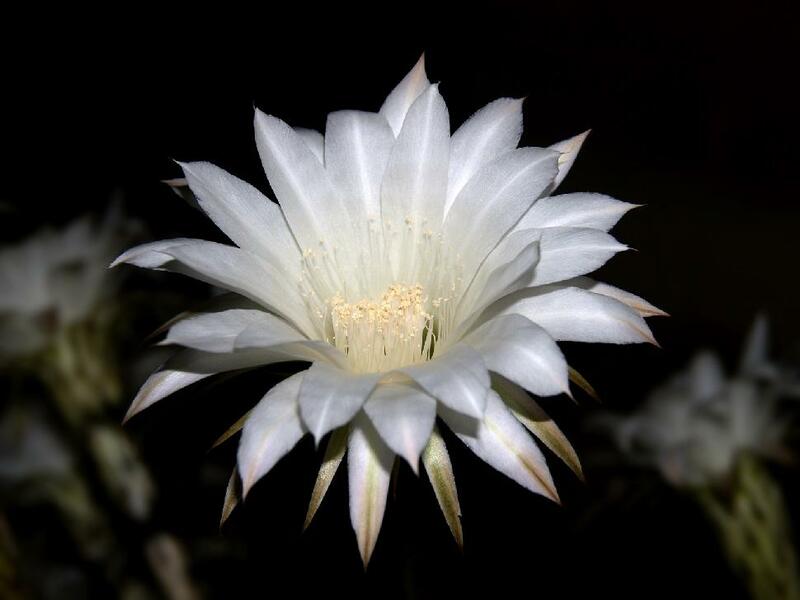 As the mass blooming of the Queen of the Night is hard to predict - sometimes there are as little as 12 hours between the announcement of Bloom Night and Bloom Night itself - it’s best to register for "Bloom Watch" emails.